No other way to describe last night's win other than ugly. 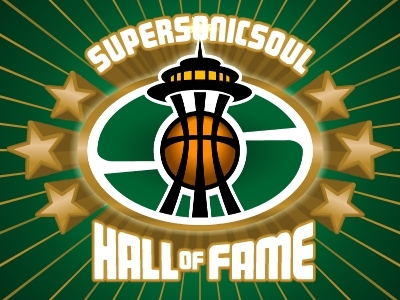 With Allen out with bone spurs, the Sonics rode Rashard Lewis to a 2-point home win. Once again, the bench failed to come through, although it was nice to see Gelabale finally get some minutes (his 13 minutes were more last night than just about any game in the past couple of weeks, and his +7 was the best on the team despite the limited minutes). In fact, you could argue that teaming Gelabale with Watson at the beginning of the 4th quarter was what won the game. Bizarrely - in this ever-bizarre season - the next five games are all winnable, and I'm including the four-game eastern road swing. Charlotte, New York, Philly, Boston, and Toronto - none of those clubs is scaring anyone this year, with the possible exception of the Raptors, and if you look at it from the perspective that the Sonics' record against the East is better than the Raps' record against the West, well, you might let yourself get a little optimistic. Liliana got voted off the island, and I miss a rare Sonics victory. I just can't win. I think for teh good of the team, you should watch Survivor whenever the Sonics are on. Maybe it's like a good luck charm or something. The Tribune's Frank Hughes is saying Ray Allen might be having season ending surgery... although I haven't seen that anywhere else... thoughts? ugly game last nite, but I thought Rashard played great in beating up my poor disheveled clips. I've heard that as well. The first instinct is, of course, "Take it easy, Ray, we'll see you next year. Oh, and Rashard, why don't you hang out with Ray for the next couple of months just to, you know, make sure he doesn't do anything foolish." Just so we can ensure making the top 4 in the draft this year. I think I read that bit on Ray Allen at espn, but we'll all have to wait for a day or so for it to be confirmed. According to espn/the News Tribune, Ray's going to have a CT scan today and the scan will determine if he needs to have surgery immediately, or if he should wait until the summer. At this point, why on earth would he wait until the summer? Doesn't that prolong the recovery period and possibly impinge on next season? It seems to me we've got nothing to play for at this point beyond Bob Hill's resume,and it would be pretty dumb to damage next season in a misguided effort to salvage this one. Ryan, I think you may be correct. Every show I watch turns into garbage within weeks of my first viewing it. The first Seahawks game I bothered to watch on tv was the Superbowl final. If I have weekend plans, the weather is bad, but if I have no plans, the weather is great. It really is creepy sometimes. So, should I avoid Sonics games so we can win, or shall I watch them all so we get a better chance in the lottery?! I say the Sonics should pay you to be at half-court for every game, just so we can ensure that we get either Oden or Durant this June. Bring on the L's, baby! Well, I am willing to do that - take one for the team. Not bad--I take a 4 month hiatus from cartooning, and Pete gets Bil Keane to sub in for me. I thought it might shame you into making something. And for your deep love for the Family Circus. the next 5 games could all be W's. 28-35 is where they would stand...only about 3 games back. 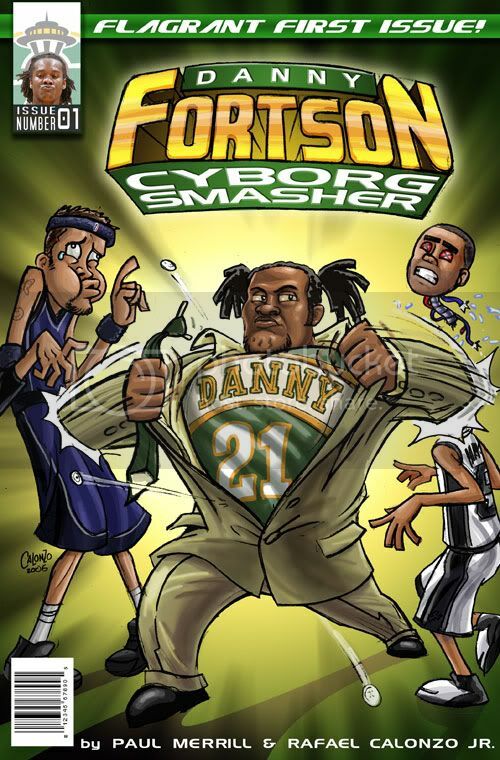 Chunks, Any chance we'll see a Cyber Fortson finale before he becomes a footnote. Maybe you can give him a bionic knee so he can make a grand return?